Beautiful porto vista condo located in the sw section of cape coral fl. 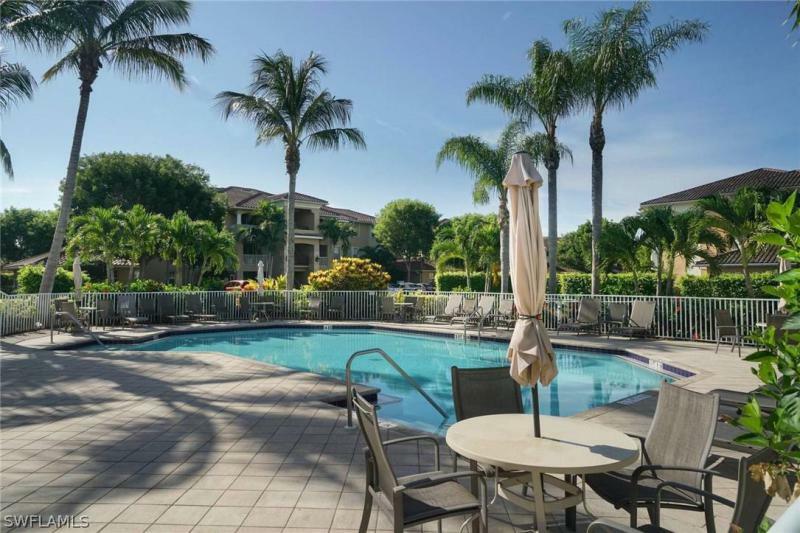 The condo is in the gated community of porto vista with a large pool, community clubhouse and plenty of space to enjoy your florida lifestyle. By far one of the best communities with shopping and all the cape harbour facilities within walking distance. This 2 bedroom with a den/2bathrooms,plus new a/c, condo is located on the 2nd floor with a elevator for easy access. All units have their own special foyer that access 4 units on each floor. Directly off the living room is a patio that has southern exposure. This is one of the larger units with a screened balcony. Vacant,tenant has moved out. For more information or make an appointment to see property ID 218063446.